The Signature Spa strives to offer the highest standard of skincare, body and beauty treatments and advice, together with an exceptional level of service. 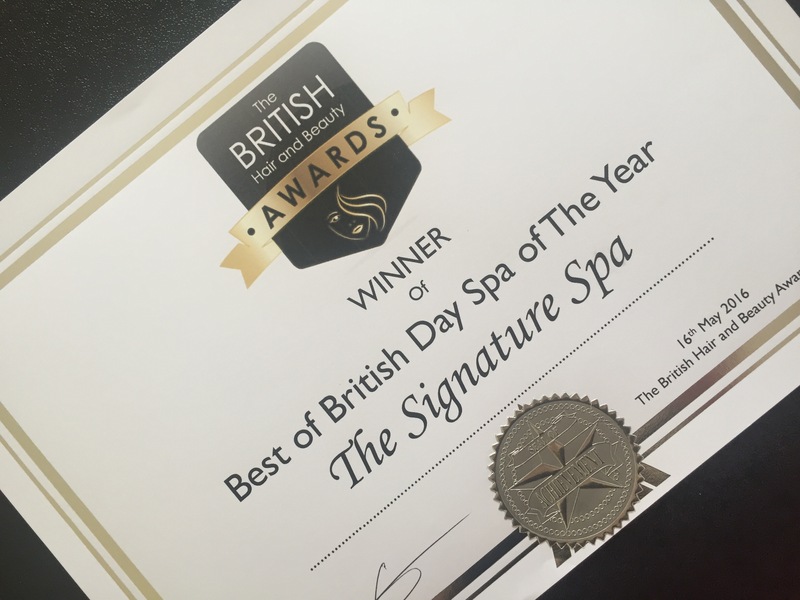 "Best of British Day Spa of the Year 2016" in The British Hair & Beauty Awards. The British Hair and Beauty Awards is the most prestigious online awards for the hair, beauty, nails and spa profession. Entries to the competition come from spas, beauty, hair and nail salons, employers and individuals from all over Britain who “stand out from the crowd and deserve recognition as a world-class player in the beauty and spa industry”.